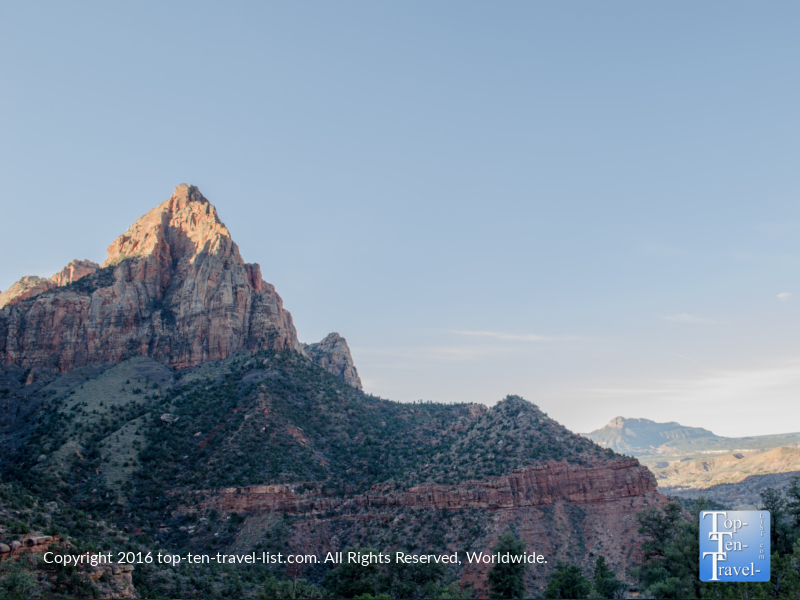 3 Great Trails to Explore at Zion National Park - Top Ten Travel Blog | Our experiences traveling throughout the US. 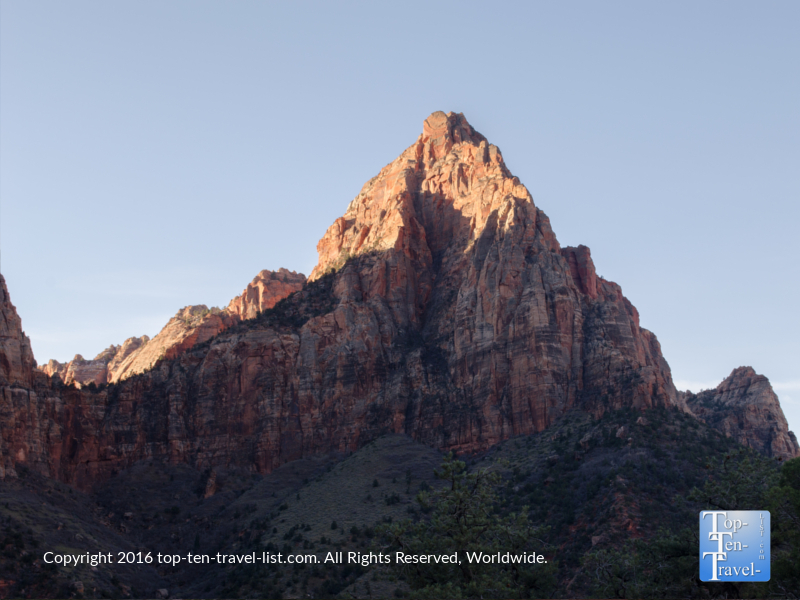 As one of the most amazing natural areas in the country, you will want to see all you can during your short visit to Zion National Park. 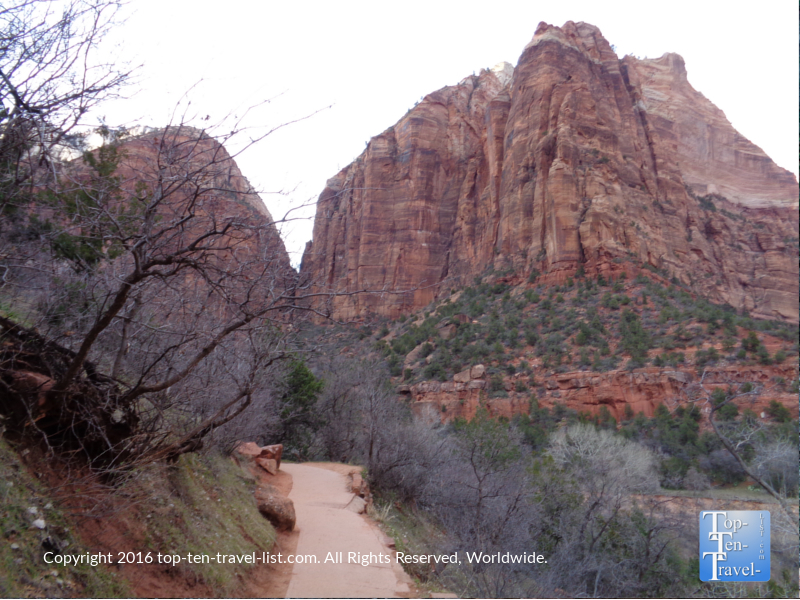 There are a number of trails to pick amongst, some easy, some extremely difficult. 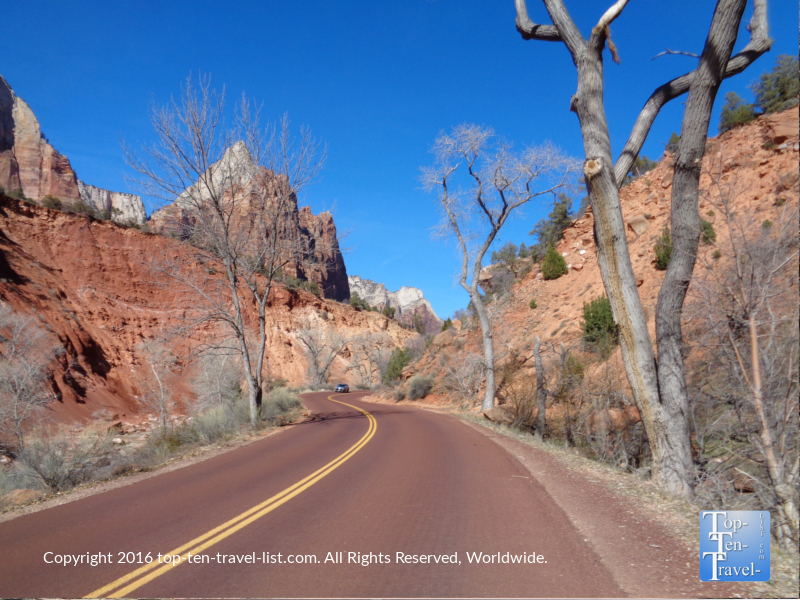 To get the most out of your trip, I have highlighted 3 easy trails which should be suitable for everyone, even beginning hikers. 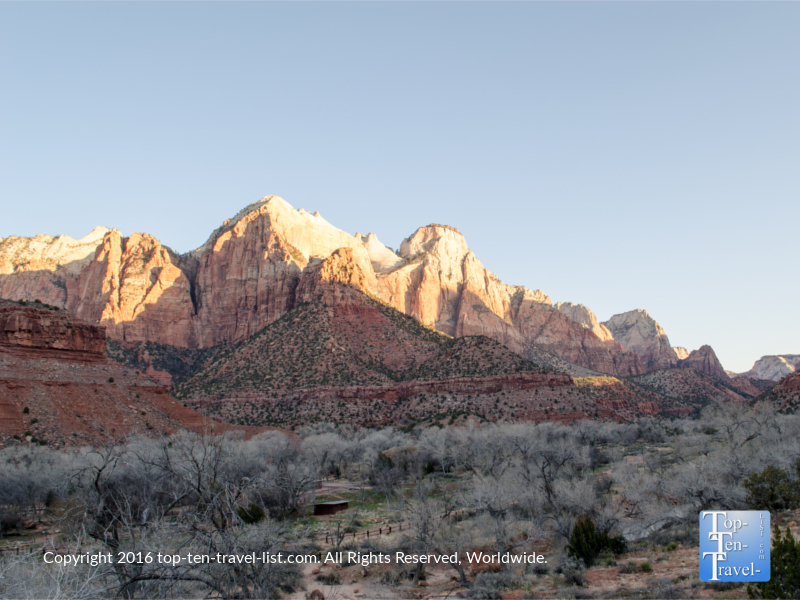 All of these hikes are short enough that they will not take up all your time, easy enough that you will not be worn out your entire trip, and of course, stunningly beautiful. 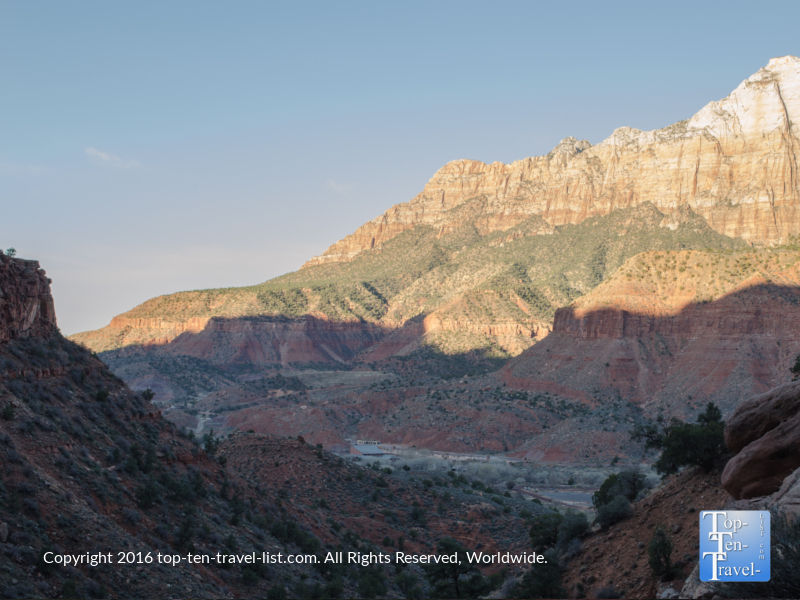 Take some time to explore these beautiful trails on your trip: each hike enables you to get lost in a relaxing journey into the magnificent landscapes that make up this unique Southeastern Utah park. 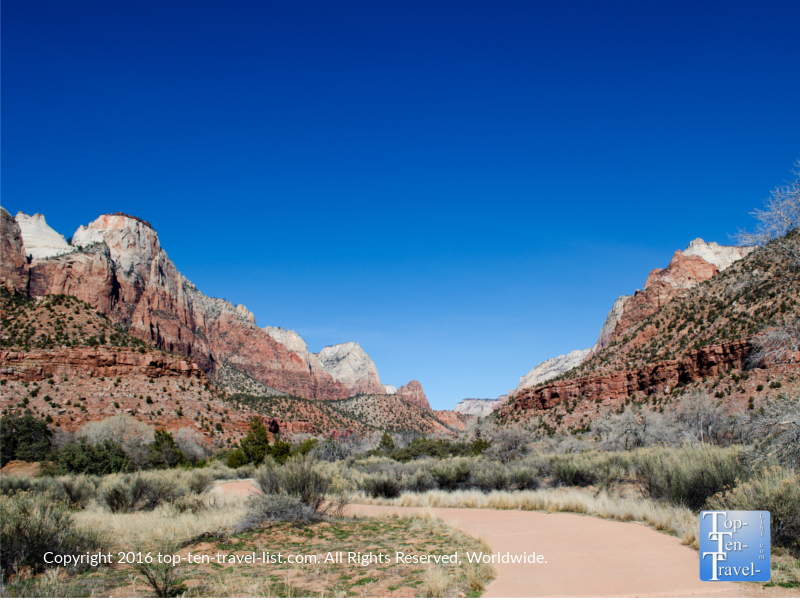 The 3.5 mile Pa’Rus trail, starting directly behind the visitor’s center, is a great way for new Zion visitors to explore the park. 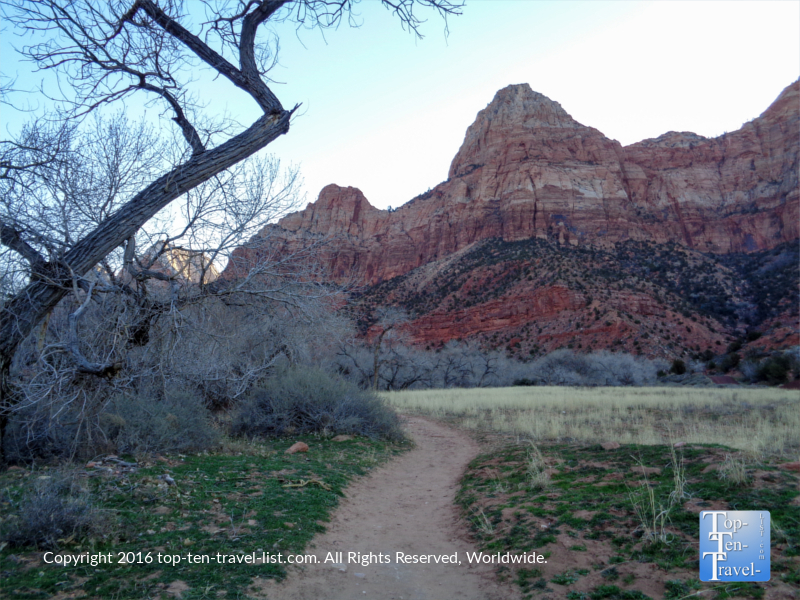 Because this trail is scenic, easy, & uncrowded, it’s a great introduction to Zion. While Pa’Rus is not nearly as popular as other options like Emerald Pools, you will still experience stunning views of the rocks and river, only with the added benefit of fewer crowds. 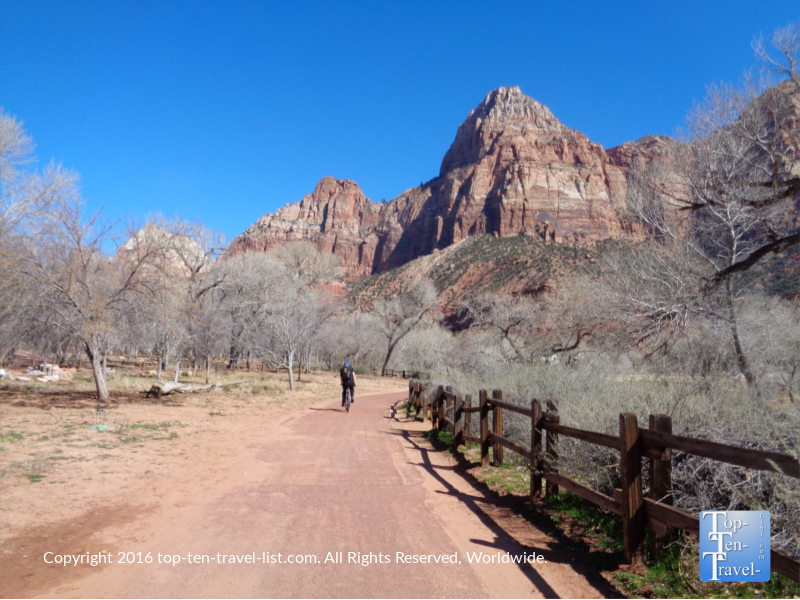 By far the easiest trail in Zion with a completely flat course, both walking and biking are options. 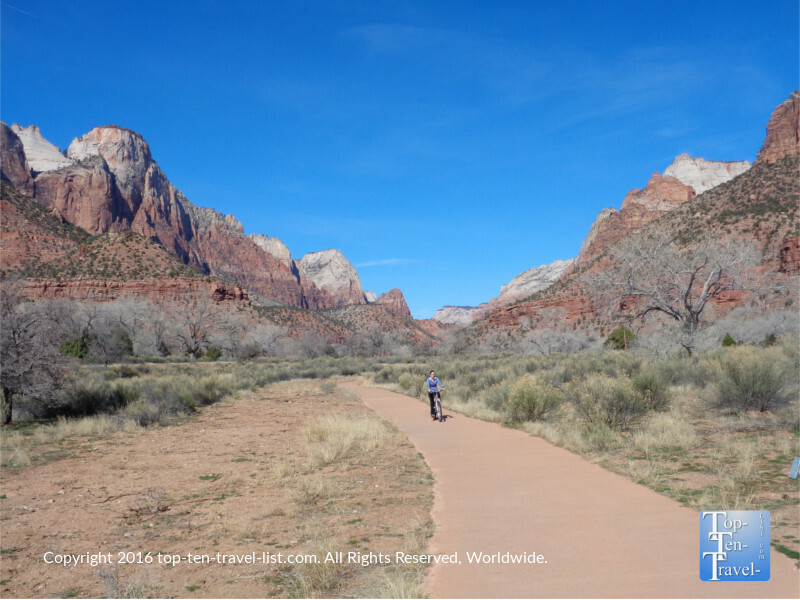 A leisurely bike ride is the best way to take in the wonderful landscapes as you can easily do the whole course twice in little more than an hour, saving you some time (over walking), so you can explore even more of this beautiful area of the country! 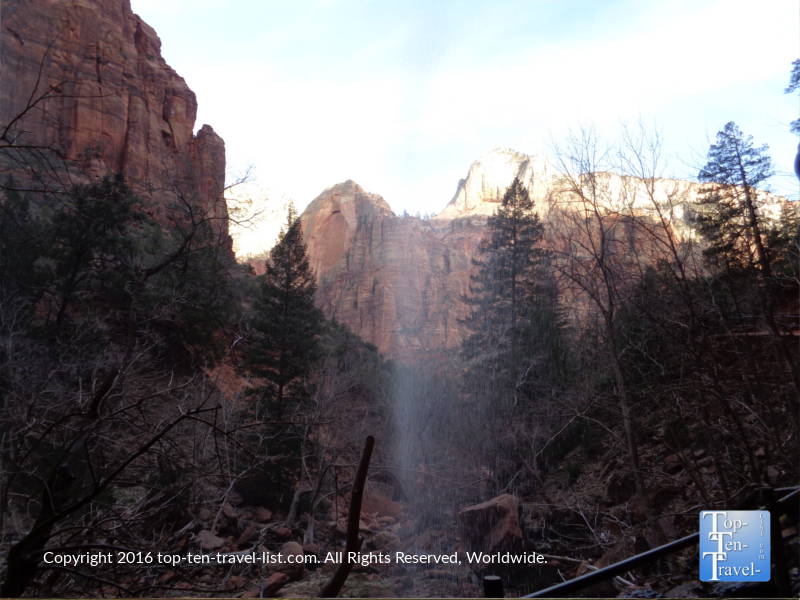 The Emerald Pools trail is the go-to hike at Zion. 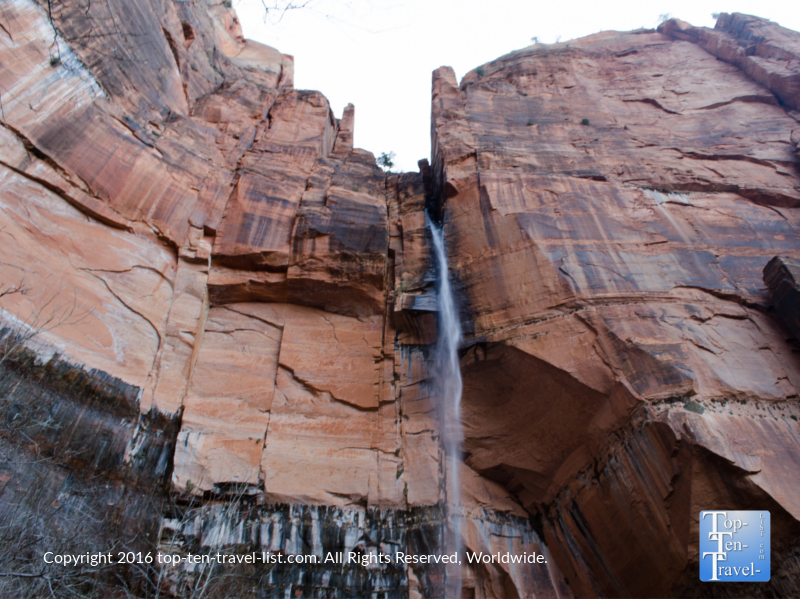 Despite the crowds, it’s more than worthy of your time for the beautiful overlooks and pretty waterfalls. 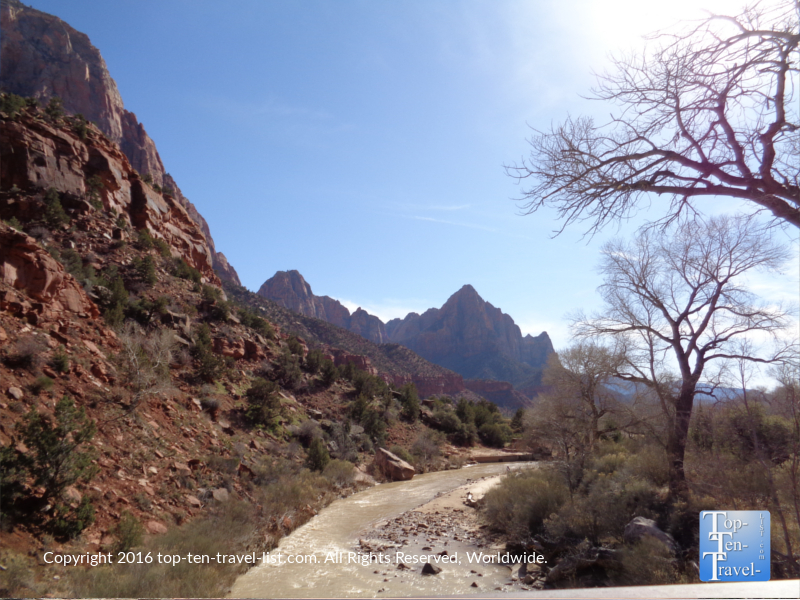 There are 3 stopping points on this trail: Lower, Middle, and Upper Emerald Pools. This is nice because it allows hikers of all ability levels to continue on to their own comfort level. 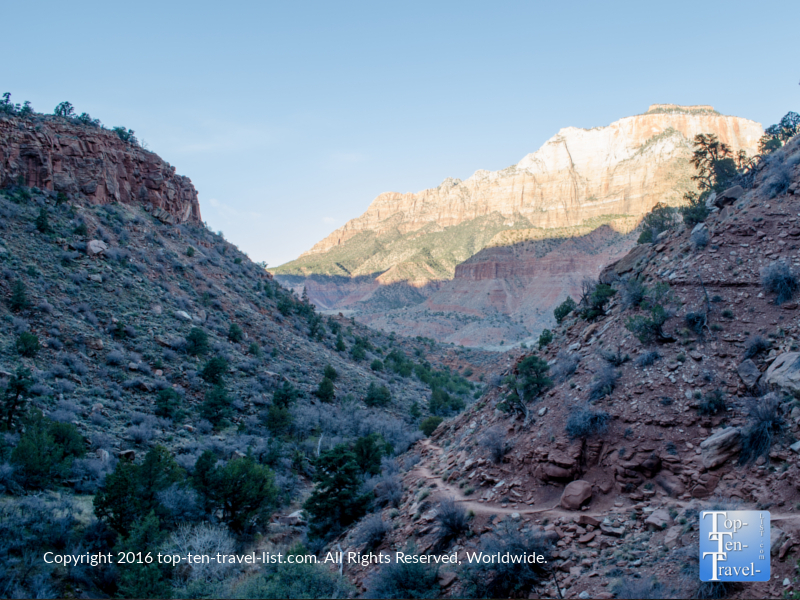 The Lower Emerald Pools trail is an easy, paved journey just over half a mile, which leads hikers to a pretty waterfall (flow will vary based on time of year). 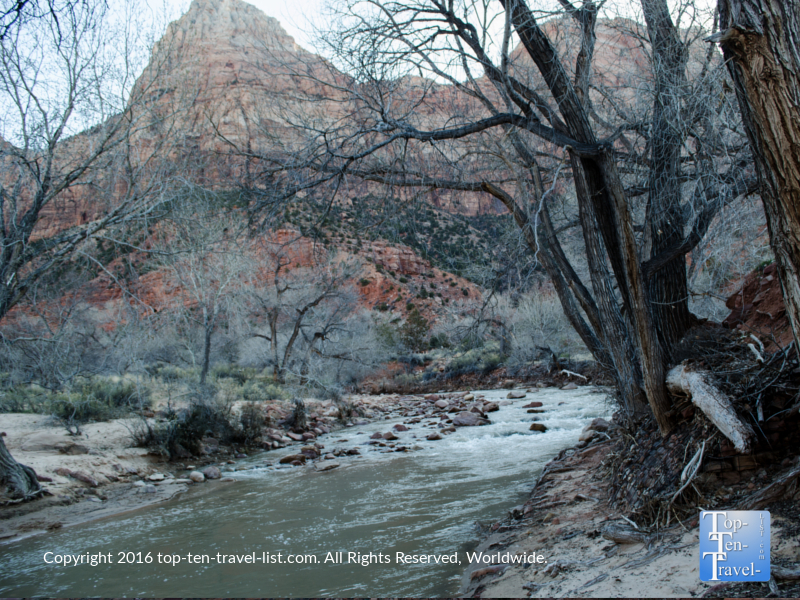 Here, you have the option of continuing on another mile to the Upper Pool or heading back. 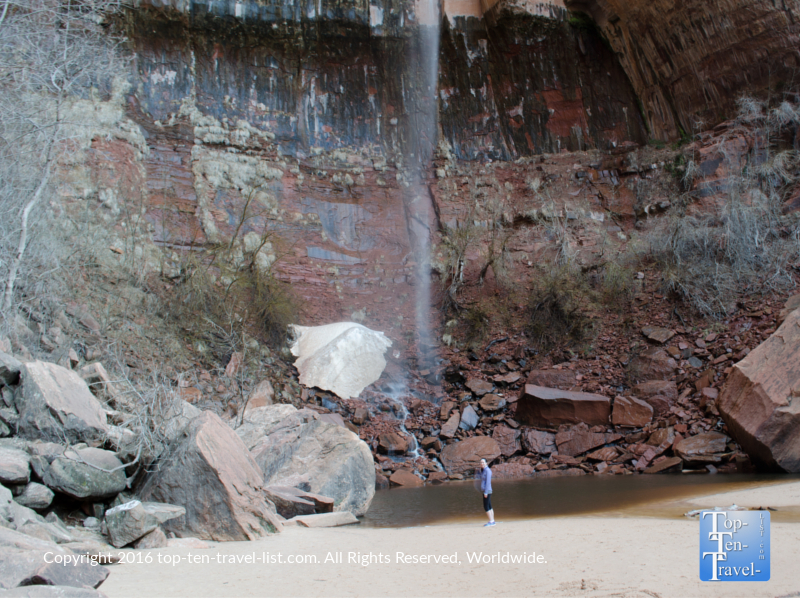 The trek to Upper Emerald Pools is an amazing journey, with gorgeous overlooks of the canyon throughout the journey and ending at a spectacular waterfall. If your fitness level permits, I recommend continuing forward from the Lower Pools to the Upper. The course is moderately tough with an uneven rocky trail and is much more difficult than the paved Lower trail. 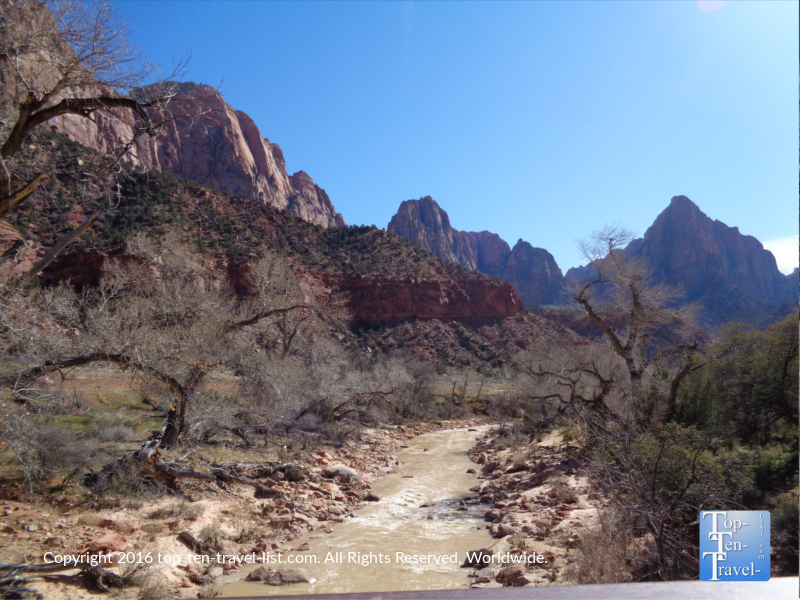 A bit rough and tough, although totally worth it for regular hikers who don’t mind a bit of a workout (be aware it feels harder than normal due to the high elevation and dry weather). 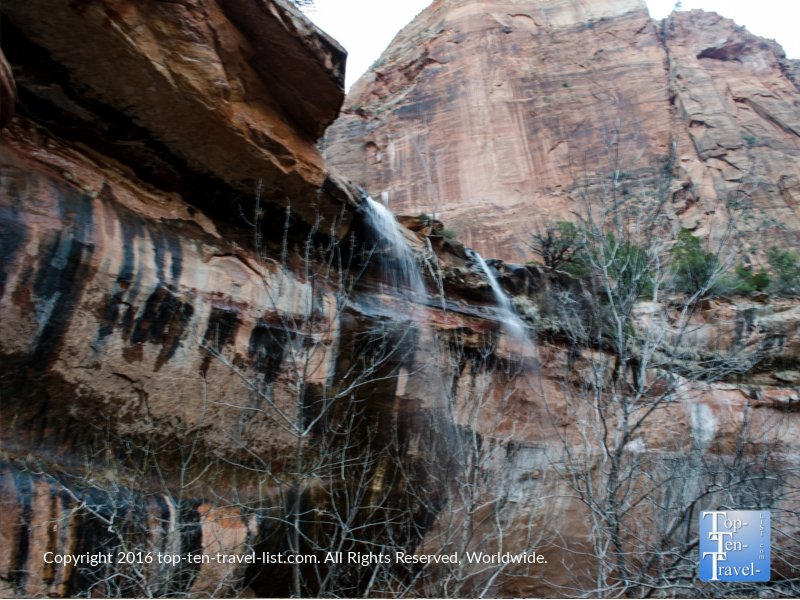 Overall, the Emerald Pools Trails is definitely worthy of your time, no matter how far you choose to hike. 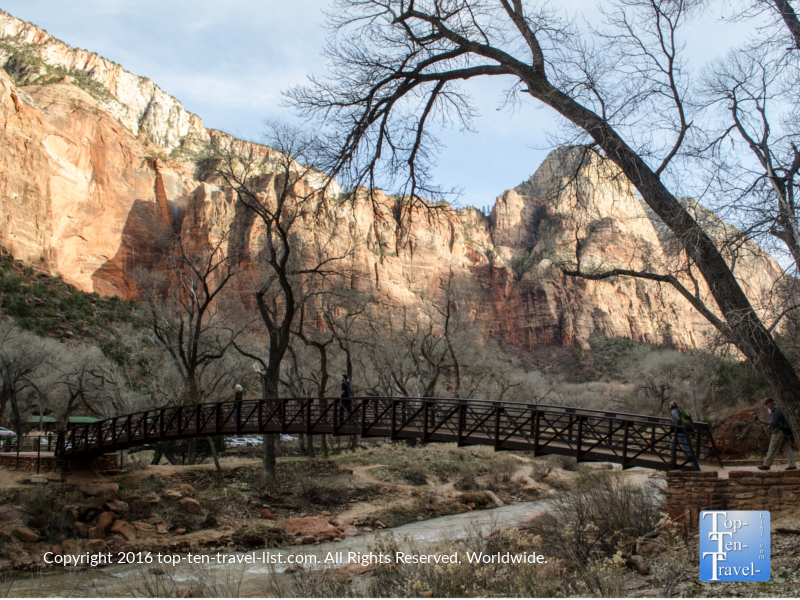 The views are fantastic in every direction and the abundant trees and lush surroundings make it feel like a true escape despite the numerous other hikers enjoying the trail. 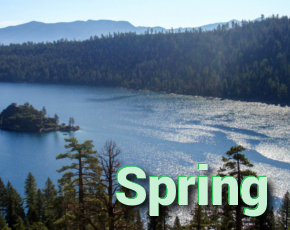 Tip: visit during the winter season for a dramatic decrease in crowds! 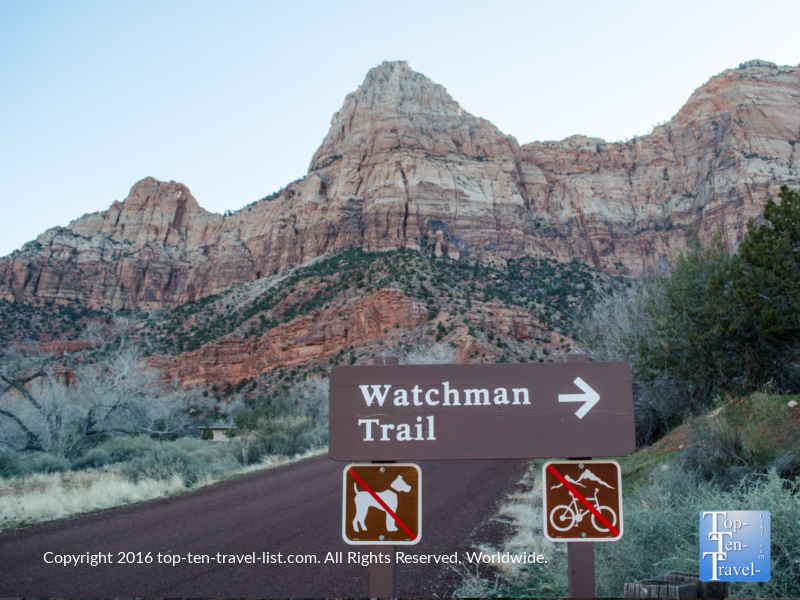 The Watchman Trail, also starting from the visitor’s center, features a steep climb up to a pretty overlook. 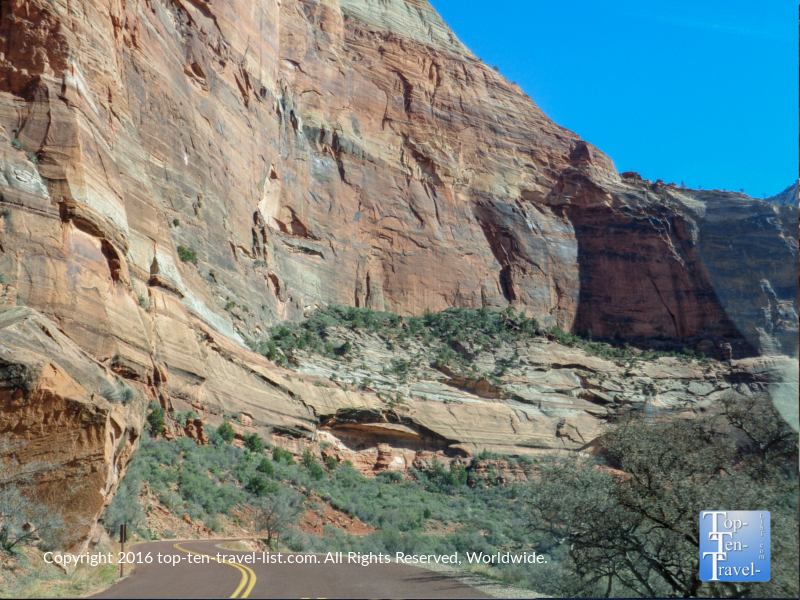 From here, you will take a short little loop, while exploring wonderful views of the rock formations, including beautiful Watchman Tower. 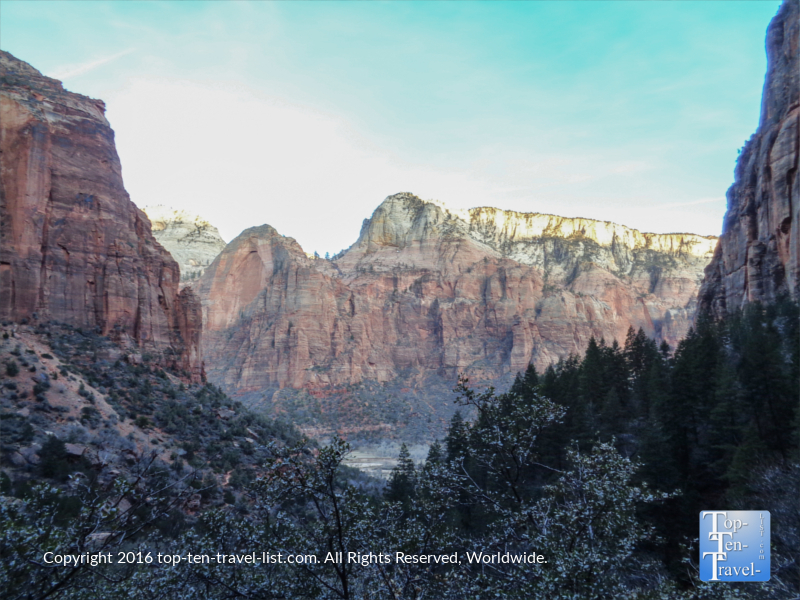 The 1.3 mile trek up is a bit of a workout, although not overly exhausting, and definitely worth it for the magnificent views and peaceful atmosphere. The climb down is really easy with almost no effort required at all. 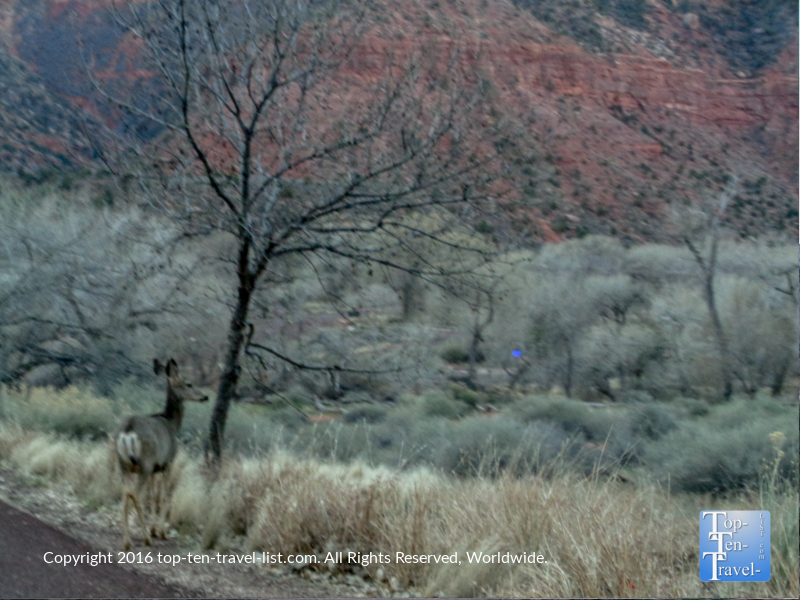 Basically, after the trek up you can enjoy your time on the way back, take more pictures, and be on the lookout for any wildlife. 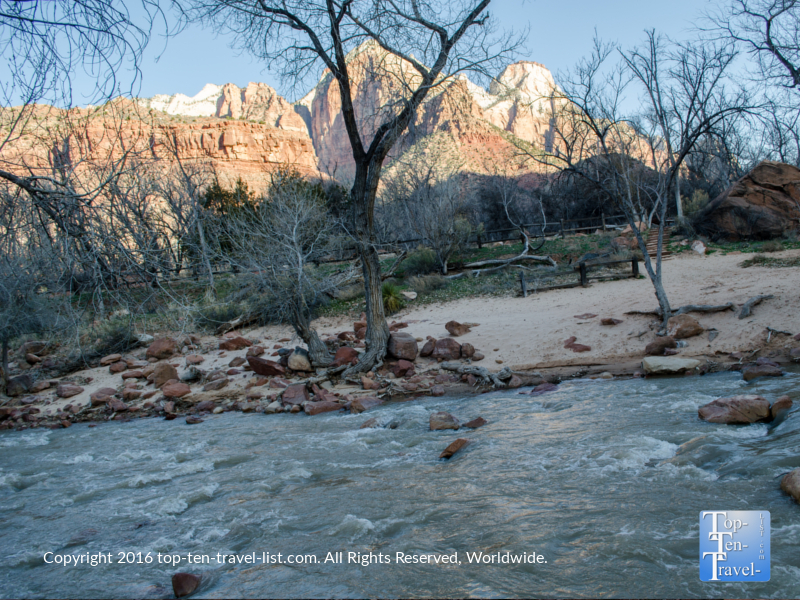 Peaceful views of the Virgin River greet you at the end of your hike. 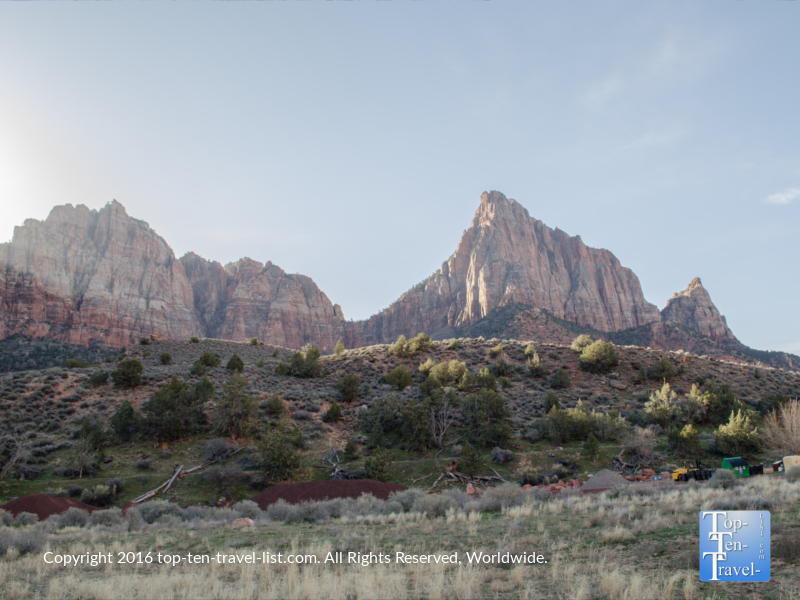 Watchman is especially beautiful at sunrise – no crowds, lots of wildlife (we saw plenty of deer), and cooler temperatures with the absence of the sun shining directly in your face. 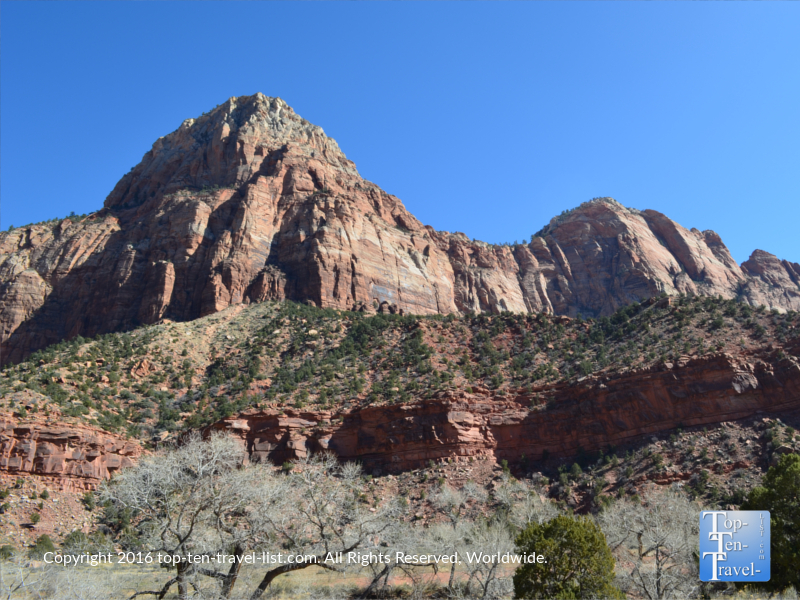 Overall, Watchman really is one of the most enjoyable hikes at Zion: one which offers spectacular scenery, a quiet setting, and a nice little workout, making it a must add-on to your Zion itinerary. 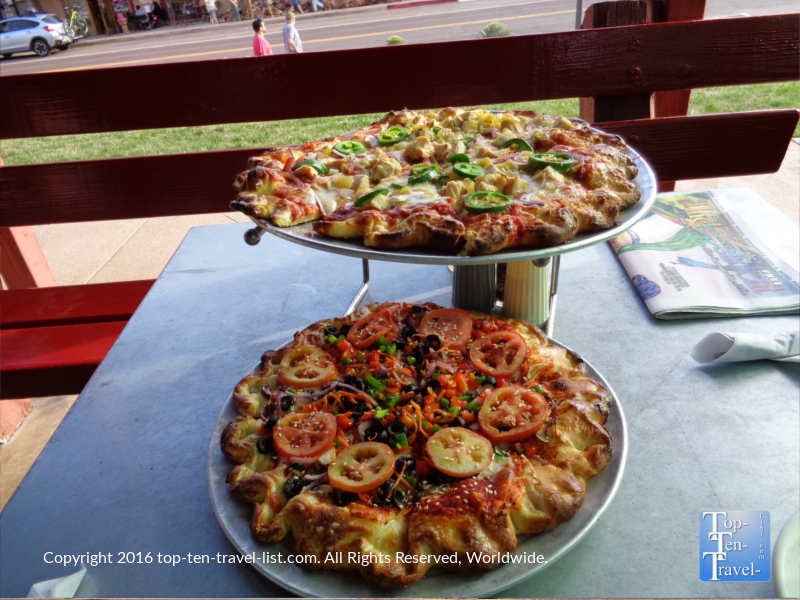 Zion Pizza Company, located in downtown Springdale just minutes from the entrance, is a nice choice post-hike due to the carb heavy menu consisting of themed pizzas, pastas, and Stromboli. Lots of creative choices here including a Hippy Pizza with basically everything on it and a Southwestern themed Chicken Pizza (both pictured below). 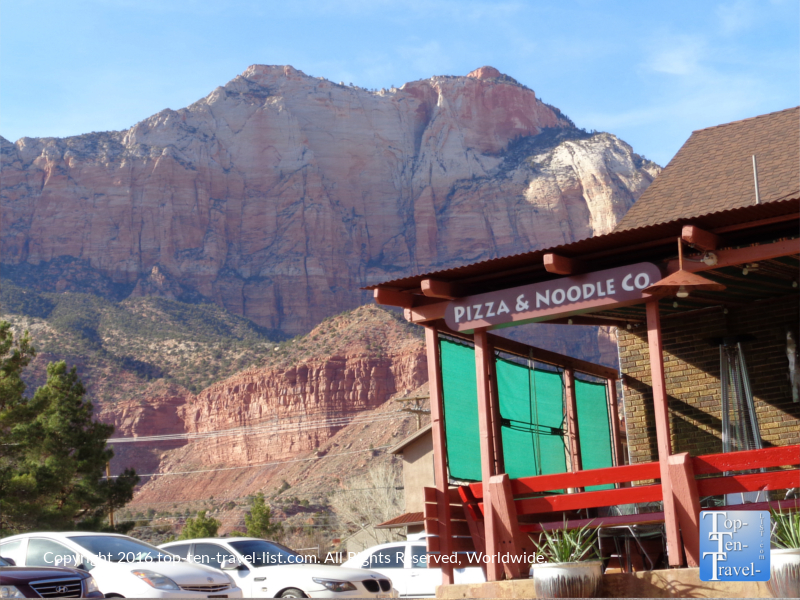 Zion Pizza has a beautiful outdoor patio with magnificent views of the red rocks. 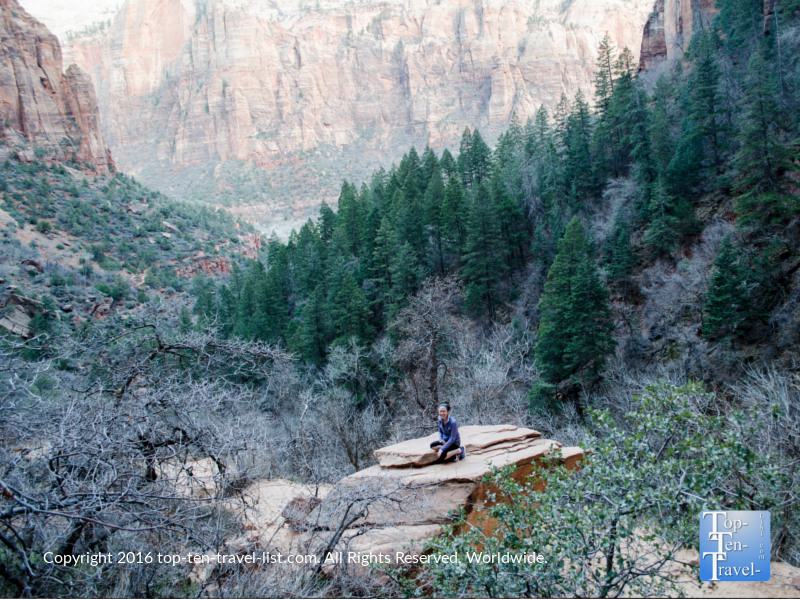 After your hike, treat yourself to a filling pizza, relax and recover for a bit, all while soaking in more views of the incredible surrounding landscapes. What a treat after all that hiking! 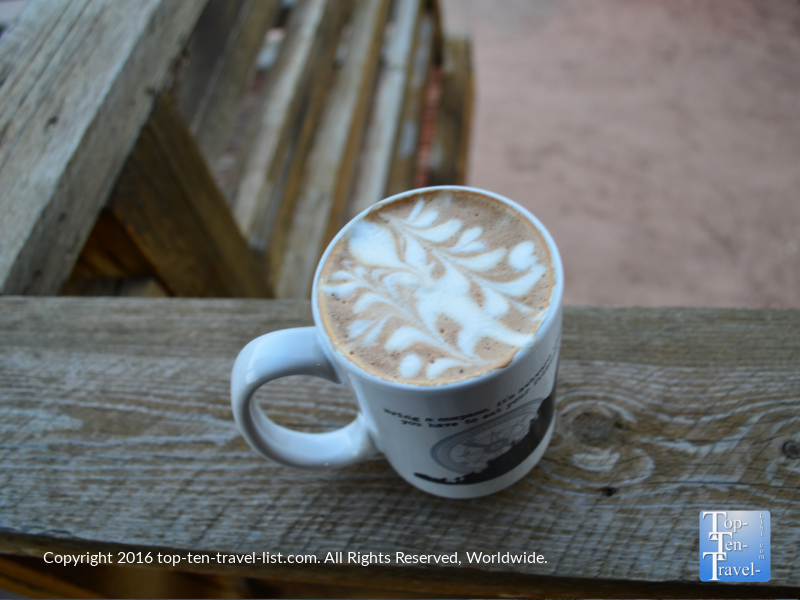 Where to find a great cup of coffee? No Starbucks or generic coffee chains are found anywhere in the area (fortunately). 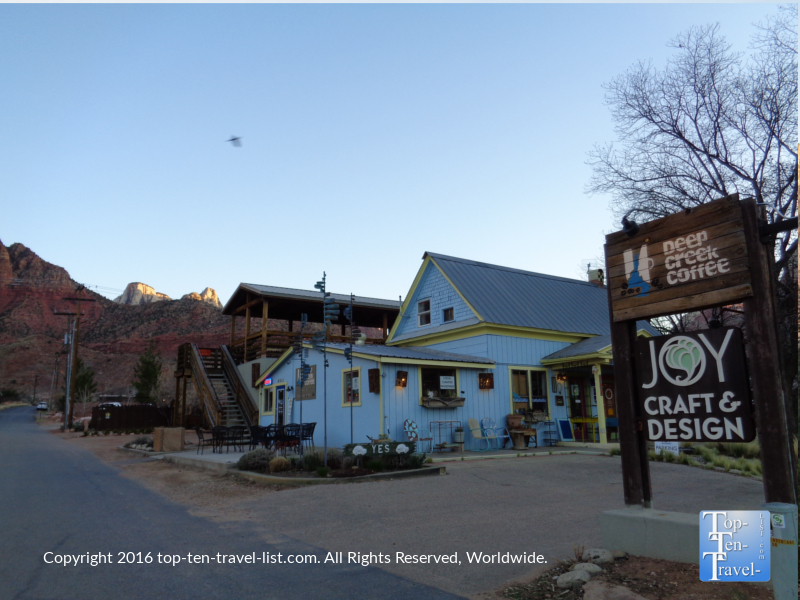 However, you will find a pretty decent local shop known as Deep Creek Coffee that serves great espresso drinks and offers a scenic 2nd floor outdoor patio to take in the views. 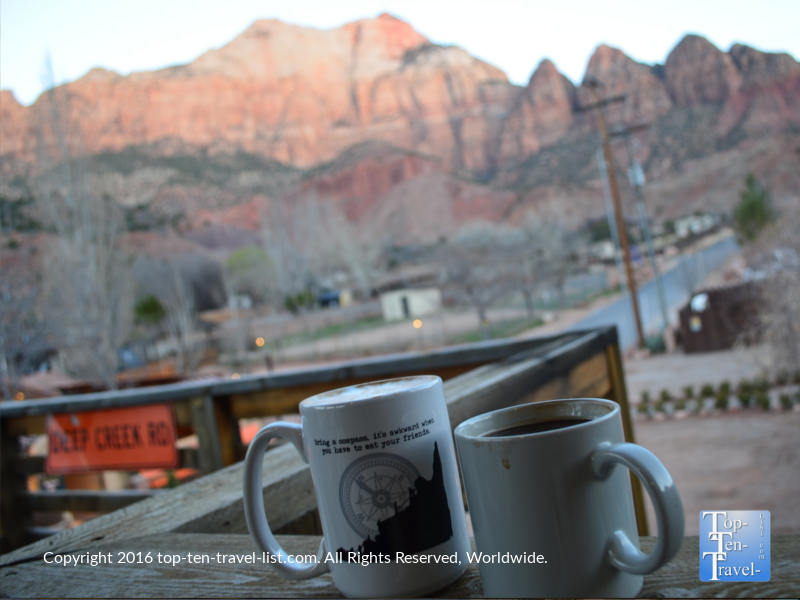 Whether you need a caffeine boost to get you going in the morning pre-hike or an energizing boost after a full morning of hiking, a steaming hot drink at Deep Creek is sure to do the trick. Their espresso drinks are wonderful, a real surprise for such a small town. Try an Americano or Mocha – both absolutely delicious. 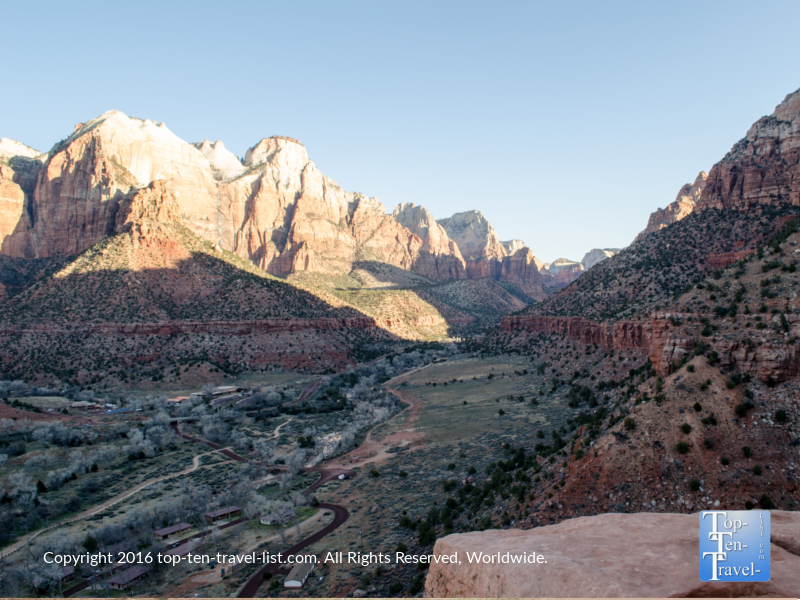 What could be better than waking up with a steaming espresso drink, while surrounded by gorgeous Zion? 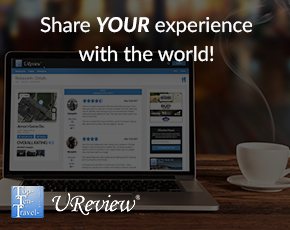 Really, who can get enough of these views? Deep Creek is so much better than a typical Starbucks, offering higher quality drinks, friendlier service, and breathtaking views! 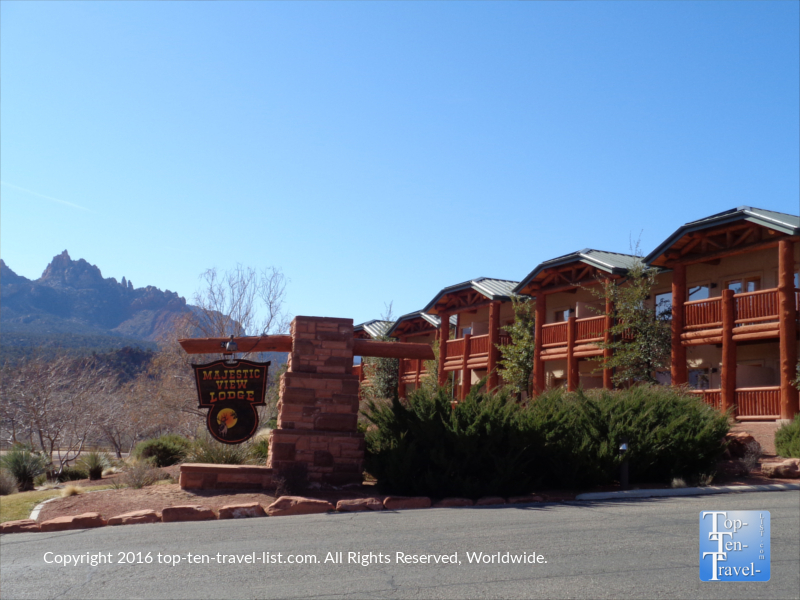 Zion Lodge is the only available in-park lodging. 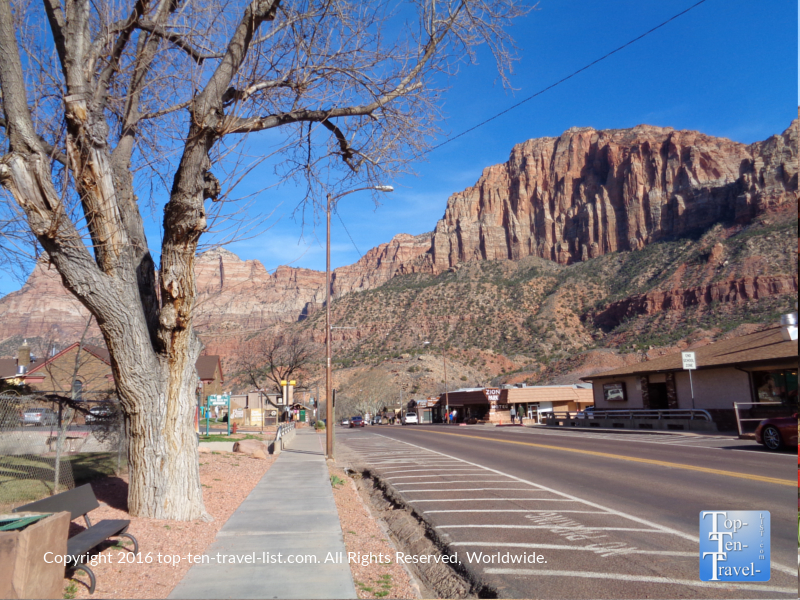 It’s a convenient option as it is located directly across from the Emerald Pools trail and is a stopping point for the free shuttle which takes you around to various Zion points of interest. As a drawback, it’s pricey and often sold out. 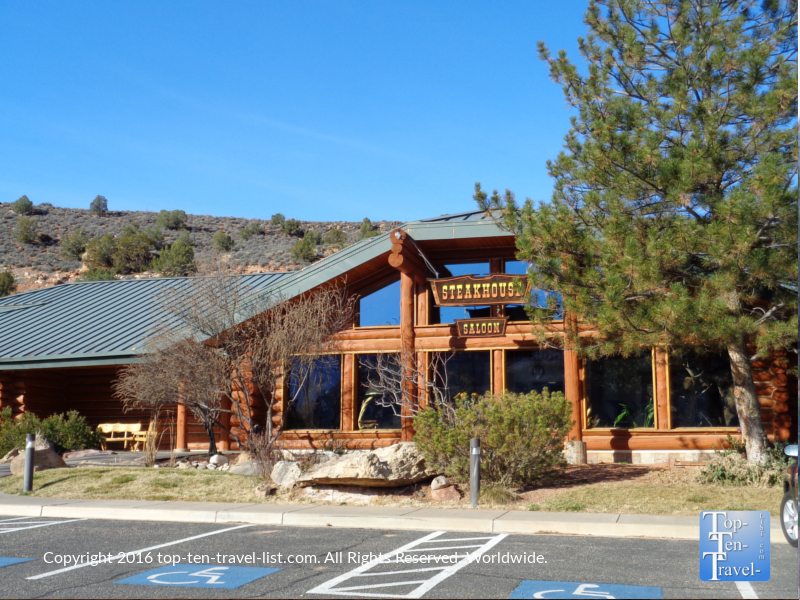 If you are looking for a more budget friendly option, consider the Majestic View Lodge. Located just 3 miles from the entrance and offering a free shuttle to town, it’s still a convenient option. Plus, it is quieter and less congested due to the distance away from the string of hotels downtown. 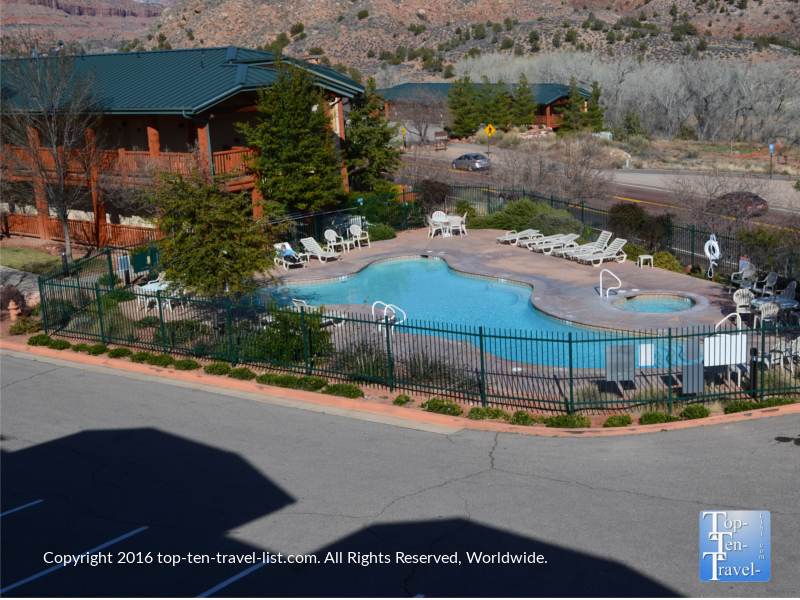 Amenities include a great outdoor pool and hot tub (open year-round), a rustic themed steakhouse with fabulous views, and attractive woodsy themed rooms, all with a private patio facing the stunning rocks. *Stroll around downtown Springdale. Home to local restaurants, shops, and gorgeous views in every direction, it’s the perfect place to take a break from the trails. Be sure to try out a delicious piece of homemade candy from Springdale Candy Company! 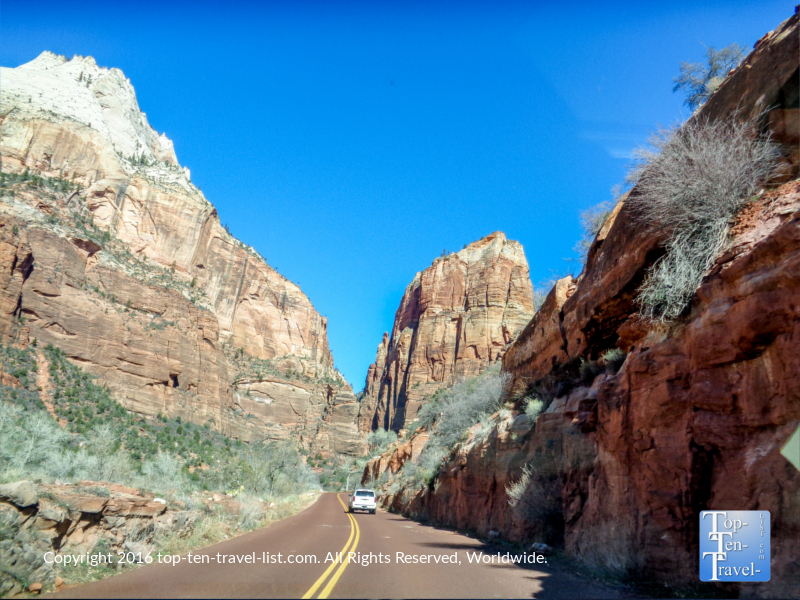 *Enjoy a cruise (or shuttle ride) down the Zion Canyon Scenic Drive. 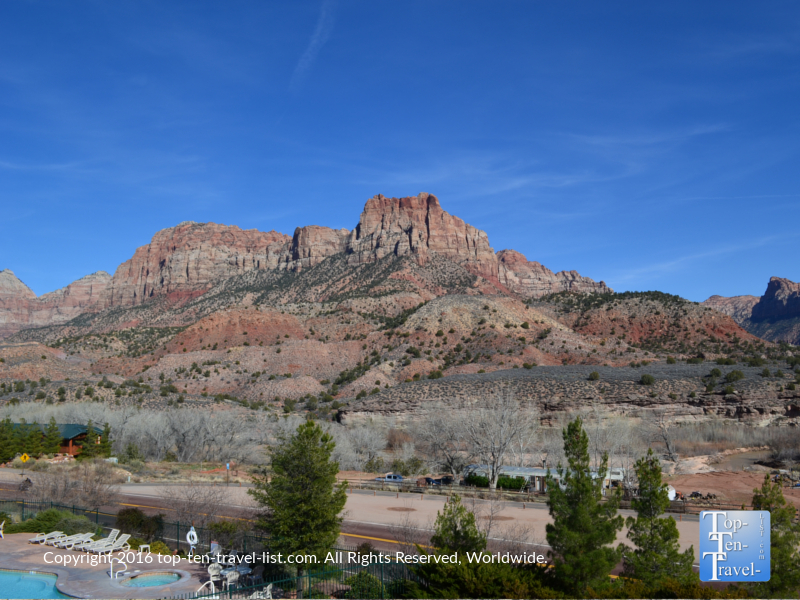 This gorgeous, yet short 6 mile drive features never ending spectacular views of the quaint Virgin River and towering rock formations. *Plan for Breakfast at the Majestic View Steakhouse. 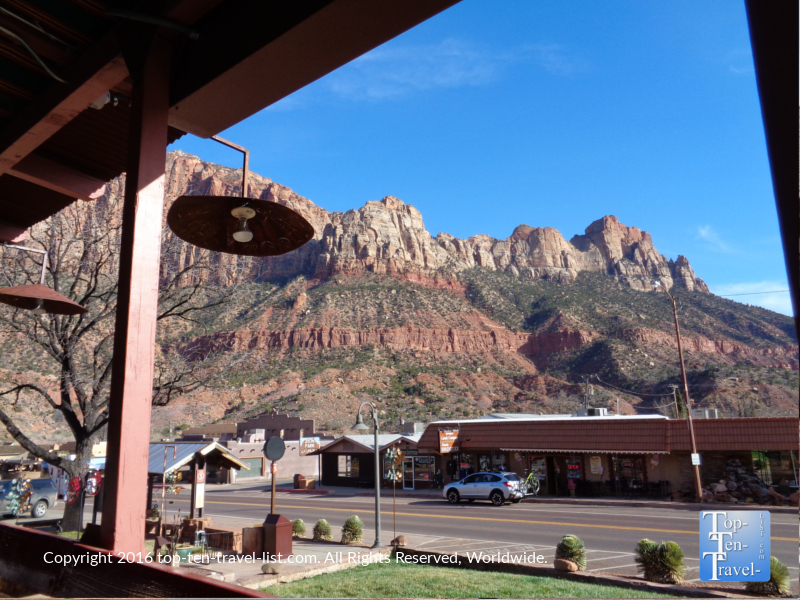 Offering the top views in town, great food, and a charming rustic interior, Arkansas Al’s inside the Majestic View Lodge, is without a doubt, the best place for breakfast in the Zion area. 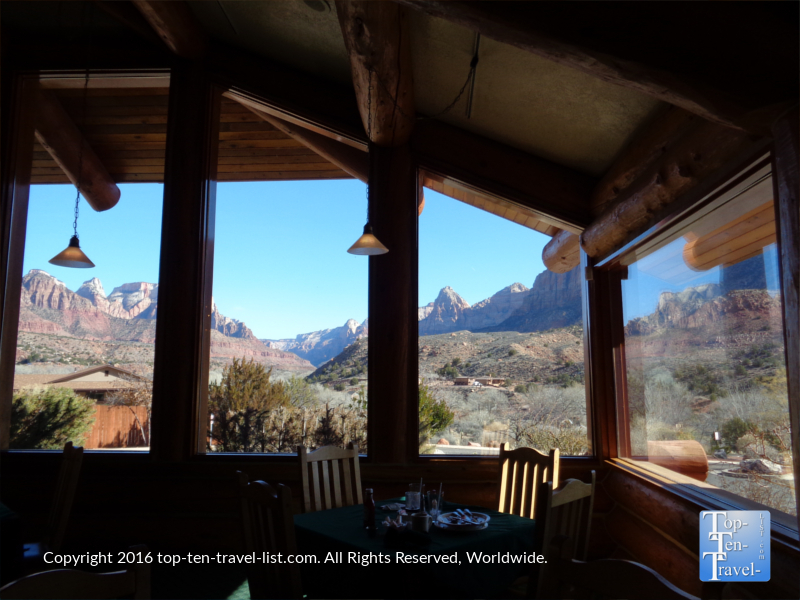 While enjoying a stuffed omelet or fluffy piece of French Toast, you will be surrounded by peaceful views of Zion via the floor to ceiling windows. You really cannot top the views at Majestic View, hence the name!